Eric Maxwell (a noted Scottish racing yachtsman and meter sailing enthusiast) bought Sceptre, convinced that she was capable of much more than she demonstrated in the Cup. In May 1959 Eric Maxwell had Sceptre sailed up to the Clyde, back to her builder's yard on Holy Loch. This delivery trip was undertaken by Peter Haward and friends, and he seems to have enjoyed every minute: "Twelves are the only yachts!". His account of the trip appears in All Seasons' Yachtsman, in a chapter called "Moving a Big Class Yacht". Maxwell engaged a professional skipper, Robert Bruce, and kept and raced Sceptre in the Clyde (and in the south for part of 1960). He moved the mast aft to improve balance, and as he believed that most of her original sails were unsuitable for competitive sailing, he re-cut or replaced them. This made a great difference to her performance and contributed to his considerable reputation at the helm of Metre yachts. 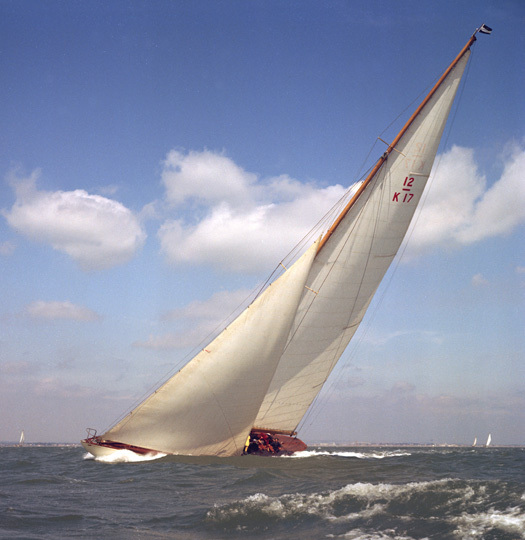 Yachting World Annual of 1961 reports that Sceptre won all her races at Torquay and Cowes in 1960. In 1961 Sceptre was again taken to the south coast to compete with the existing pre-war twelves. Racing between Norsaga, Evaine, Flica II, Vanity V and the much improved Sceptre renewed interest in another British challenge for the America’s Cup. Sceptre’s performance had been greatly improved, so much so that, in the Queen’s Cup race in Poole Bay on 27th August, Sceptre overhauled and led another 12 Metre, Flica II over the 25-mile course, finishing almost two minutes ahead. Sovereign (the 1964 UK America’s Cup challenger) was launched on the Clyde in July 1963 and began a series of races with Sceptre as trial horse. Although sometimes beating the older boat, Sovereign’s performance was disappointing. Sceptre was invariably faster downwind, probably due to Maxwell’s favourite downwind sail, her red Hood spinnaker. 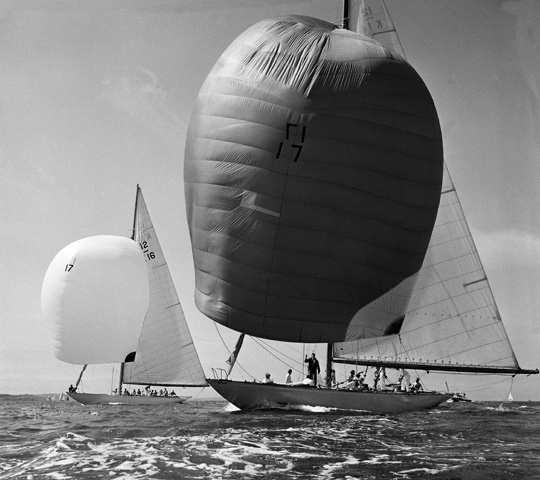 On 23rd August (Cowes Week), Sovereign was beaten by Sceptre in the first race by almost two minutes. Sovereign failed to take the Cup in 1964, sadly by a larger margin than Sceptre did six years earlier.